Every week, teachers are asked questions. Sometimes it's related to what's being learned, other times it's completely off the wall but still quite interesting. Sometimes we know the answers, and can satisfy the student's curiosity. Sometimes, we don't... and we shouldn't pretend otherwise. Ireland has considered itself neutral since World War II. Officially, we took no sides in that war, but unofficially we provided help to the Allies. The reasons for staying neutral were very straightforward - the Irish Free State was only barely 20 years old and was in no way equipped to be able to take part in a massive European war. We've kept our policy of neutrality ever since - Ireland never joined NATO during the Cold War, for instance, and neither did we join the Non-Aligned Movement. 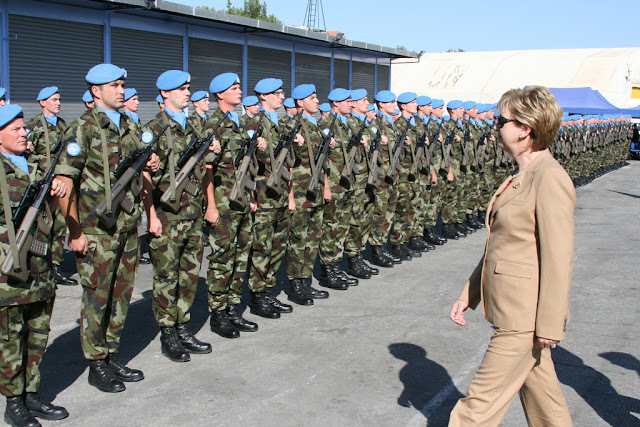 Since joining the UN in 1955, Ireland has taken part in peacekeeping missions in the Congo, Cyprus, Lebanon, Chad, and Kosovo among other regions, and US military planes have been allowed to stop over at Shannon Airport. These planes were subject to conditions that they did not carry weapons or formed part of military operations, but these conditions were waived after the September 11 attacks in 2001. Officially, we are still neutral. In 1994, the government pledged that Irish neutrality was an issue that could only be changed by referendum, although neutrality isn't actually a constitutional issue. There has been talk in recent years of Ireland reducing or doing away with its policy of neutrality and becoming involved in European common defence initiatives, but for now, that's only talk. Are the IRA still around? There has been a good deal of talk about the IRA in the news lately, with allegations that the organisation still exists in secret and influences the decisions of Sinn Féin, allegations which Sinn Féin denies. I'm not going to comment on that but I will go through the established facts. The IRA which was around for the Troubles in Northern Ireland from 1969 to the Good Friday Agreement in 1998 began life as the Provisional IRA, which formed in 1969 when the Sinn Féin movement split in two (the other side became what we now call the Workers' Party). Numerous attempts to establish ceasefires failed over the years, until the Good Friday Agreement put an end to the Troubles and established the power-sharing agreement between Nationalists and Unionists in Ireland which is still in place today. The Provisional IRA officially announced an end to all paramilitary activities on 28 July 2005, and issued orders for all weapons to be dumped. On 26 September, the Independent International Commission on Decommissioning confirmed that the IRA's arsenal had been totally decommissioned. In the ten years since there have been reports and allegations that the IRA's Army Council is still active, but the Sinn Féin leadership has repeatedly denied this. Two breakaway groups from the IRA still exist, neither of them agreeing with the ceasefire or the Good Friday Agreement. The most notorious of these groups is the Real IRA, which claimed responsibility for the 1998 Omagh bombing which killed 29 people, and the 2009 murders of two British soldiers in Northern Ireland.The other group, the Continuity IRA, has been less active and has itself suffered splits. These groups are considered criminal organisations by authorities in Ireland and Britain, and their activities have been condemned by Sinn Féin. Aren't there still problems in Belfast? Where isn't there a problem, really? But yes, tensions do still flare up between the Nationalist and Unionist communities of Belfast. Quite often, these tensions are due to parades or parade routes by the Orange Order and other groups. Put simply, Nationalist communities do not want Unionist parades in their areas, and vice versa, but the other side will argue for the right to march where they please. A Parades Commission was set up in 1998 to try to mediate and monitor these tensions, but problems still arise, as in 2012 when riots broke out in north Belfast over a parades dispute. 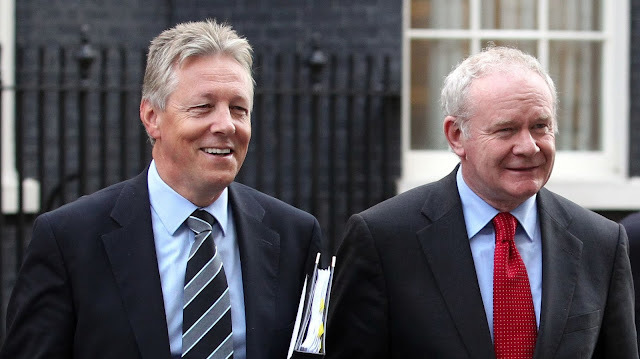 More recently, the allegations of continued activity by the Provisional IRA saw Unionist parties walk out of the Northern Ireland Assembly in protest. For a few weeks in September and October of this year, it looked as if power sharing in the North was about to collapse. On 17 November, all of the Northern Irish parties issued a new agreement in which they vowed to continue the power sharing executive, but the report acknowledges that the issue of how to deal with the past remains a difficult one. We'll have to wait and see what happens in the next few months! What are Jewish cloaks called? The cloaks the student was asking about are traditional Jewish prayer robes called tallits. Traditionally, the tallit gadol is a large prayer shawl worn during morning prayers, while the tallit katan, which can fit comfortabally under regular clothes, is for everyday wear. These cloaks have tassels on the fringes called tzitzits, which represent the rules and laws for life laid out in the Torah, the Jewish holy book. Jewish men wearing the tallit. You can see the tzittzit tassels. If you could invite any historical person for an interview, who would it be? Now this is an interesting question. I've been thinking about it for a few days, and I think this is the kind of question that could do with a post of its own, so watch this space! What about you? Who would you invite?